Service providers, resellers and Internet entrepreneurs are increasingly turning towards wholesale VoIP carriers as a way of entering into the lucrative telecom market without having to bear the enormous cost of infrastructure rollout. Wholesale VoIP is simply like any other type of wholesale arrangement, with a reseller purchasing services on a wholesale basis and then reselling them through their own brand. Reselling Voice over IP services can be as easy or complicated as you want to make it. The simplest way to get into the business via a wholesaler is by purchasing wholesale calling card services, which can simply be resold under your own brand, either online or physically. Just about any other type of telecom service, including international and domestic calling, direct inward dial (DID) numbers, fax service, and much more, can be acquired wholesale for subsequent resale. The greatest advantage is that by going into this business on this basis, it is not necessary to shoulder the burden of up-front capital expenditures, which for the carriers, can be very costly. Buying the services wholesale and reselling them retail allows you to bypass all that, and get into business with a very low up-front investment. Traditional telecom businesses must endure high levels of capital expenditures to build out physical points of presence, but the wholesale option bypasses this requirement, allowing the retailer to instead focus on marketing and building the business. The telecom market is highly dynamic and represents a lucrative opportunity, and every day, new entrepreneurs move into this market. Wholesale services can be obtained through several sources with only a small investment, either directly from the provider (Reseller) or through a marketplaces. Consider one of our sponsored partners for your wholesale needs. Contact us if you would like to get added to this list. Many wholesale operations will provide a "turnkey" service solution to resellers and channel partners, allowing them to quickly offer services to both consumers and business clients. The wholesale VoIP offering then allows the channel partner to start selling immediately, without having to bear the otherwise steep costs of setting up their own infrastructures. Another advantage of leveraging a wholesale service as a channel partner is the ability to generate recurring revenue on a monthly basis. Many IT-based channel programs work differently, where the channel partner sells hardware or software licenses, and receives a larger up-front commission, but recurring revenues are smaller�requiring the reseller to constantly refresh their client base. Working on a model of recurring revenues is an easier model that allows a business to grow over time more reliably. The SMB market in particular is an ideal target for resellers wanting to move into the Voice over IP business by taking advantage of the wholesale model. In a declining economy, businesses are constantly looking for ways to save money, and this type of service presents that opportunity. In addition, it requires comparatively very little from the customer in terms of up-front costs, making it an easy sell. And, unlike other ongoing IT solutions, the continuing management and maintenance overhead is very minimal, giving the reseller an opportunity to gain a recurring revenue stream for very little work. Because you are using the services of a wholesale provider, it is then incumbent on that provider to maintain the infrastructure, and not you as a reseller. For a reseller looking to get into this business, there are several wholesale providers in the market, offering a wide range of services. In general, the telecom marketplace is experiencing strong growth, and the number of participants is growing every day. The wholesale telecom market has also reported incredible growth as more participants seek to get into this dynamic marketplace. Services can be rebranded as your own. Efficient online tools for generating custom mark-ups in prices and online billing with profit reporting, 24x7. Helpdesk assistance available to customer base 24x7x365. Extensive volume-based discounts without commitment. Reseller websites hosted in tier-1 data-centers. Free SIP soft phone and mobile dialer customized to portal. User friendly billing with customer account management interfaces. A good reseller program enables you to offer top grade, business class services quickly and hassle-free. Small business associates can start earning revenue within hours of signing up. For those looking to go into the business by purchasing services on a wholesale basis for reselling should be aware of several issues and definitions, and be aware of the services that each wholesaler provides. See below for terminology used for common services available in the Wholesale market. This is the service that actually carries the call for your customers. The wholesaler's infrastructure originates a call from the public switched telephone network by routing it to their own telecom center, where it is sent out over the Internet. Call termination refers to where the call is being sent to, and this is the IP endpoint. 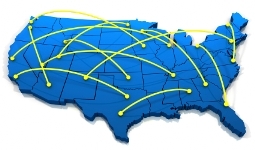 Ideally, your wholesaler will have multiple points of presence in many countries. For example, when a US caller is calling London, the call goes over the PSTN only from the destination to the provider's point of presence, then goes overseas via Internet, to another point of presence near London, where it is transferred back to the PSTN for final delivery. Many of the wholesale providers also offer toll free services, which are increasingly affordable. DIDs (direct inward dial numbers) can be sold to your customers easily; wholesalers often will have immediate access to a database of numbers that can be immediately provisioned. Local DIDs are available as well as toll-free DIDs, which can be routed to your customer's IP address or PBX. For entrepreneurs looking to provide customers with international calling capability, so-called "international A-Z" service provides termination points in multiple countries. This is particularly important for resellers who wish to either specialize in providing calling service to specific countries, or broader offerings that offer calling worldwide. Metro Ethernet, a type of metropolitan access network, is a wide-area implementation provided by a major carrier designed to allow businesses in a specific region to connect to the Internet, and also to other branch offices within that same region. Metro Ethernet offers very fast and reliable connectivity, and has the advantage of offering end users greater scalability and the ability to pay for only what is needed. Traditional PSTN telephony is connected to a 911 emergency response system. Service providers, since they are not part of the PSTN, are required by law to participate in a separate E911 system, which transfers all emergency 911 calls to a Public Safety Answering Point (PSAP). Any company going into the Voice over IP business must ensure that the service is E911 compliant. Most offices are still equipped with old-fashioned analog fax machines, but these are quickly becoming obsolete. Virtual fax services are another option for reselling, allowing customers to send and receive digital faxes directly from their computers or smartphones over the Internet. For those who wish to get more sophisticated and build their own private brand of customized services, it is possible to utilize an Application Programming Interface (API). This allows you to create your own applications that combine the features of the underlying platform being offered, and apply your own brand to them. Your wholesale provider should be able to offer you a wholesale portal for your convenience, which allows you to choose from a menu of services, initiate provisioning online for your clients, and keep track of your sales metrics. Again, going beyond simple reselling, an entrepreneur can make use of collocation and hosting services available from the wholesale carrier. Using a collocation service allows a provider to avoid having to manage their own physical infrastructure, by colocating your equipment in a third party location. This is perhaps the simplest of all methods of getting into the business. Wholesale calling card systems let you purchase calling card services from a provider, and resell them. Using this model, it is usually very easy to apply your own brand to the calling card. The best way to go about this is to make use of a fully-featured wholesale calling card platform, which eliminates the need to run your own equipment or infrastructure, allows you to create your own rate table, and allows you to create your own brand for resale. About the calling cards mentioned above. Would customers need broadband coverage on their phones for the calling cards to work ? -> Response: No, you normally can use any phone for this e.g. a cell phone. You get a dial-in number which is usually toll-free and then enter your pin and the number you wish to dial. Therefore it does not cost you anything and no broadband required.